Spc. Carlos J. Negron Sr. Hometown: Lakewood, NJ/Fort Myers, FL. 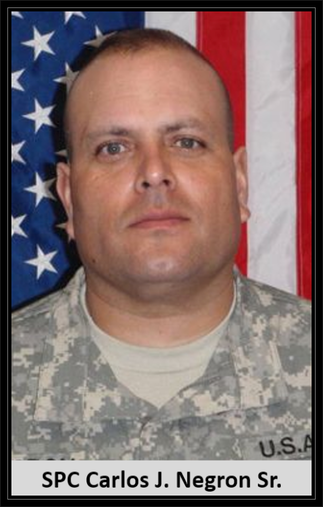 Died: July 10, 2010 in Operation Enduring Freedom. Unit: 426th Forward Support Battalion, 1st Brigade Combat Team, 101st Airborne Division (Air Assault), Fort Campbell, Kentucky. 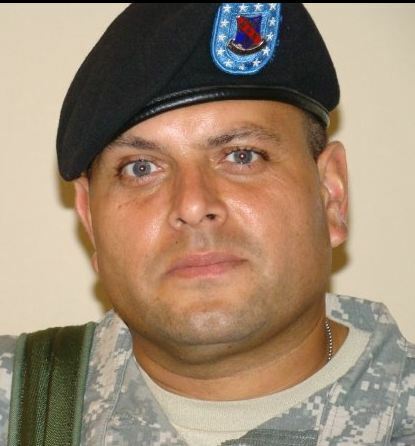 Specialist Carlos J. Negron, 40, of Fort Myers, Fla., died July 10 of wounds suffered when insurgents attacked his unit at Konar Province, Afghanistan. Negron was a wheeled vehicle mechanic assigned to the 426th Forward Support Battalion, 1st Brigade Combat Team. He entered the Army in June 2008 and arrived at Fort Campbell in March 2009. Negron’s awards and decorations include: Army Achievement Medal; National Defense Service Medal; Afghanistan Campaign Medal with arrowhead, Global War on Terrorism Service Medal; Army Service Ribbon; NATO Medal; and Weapons Qualification: M4, expert. 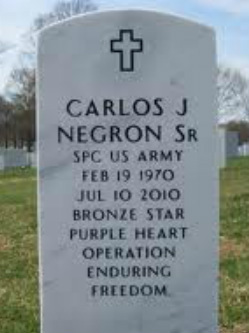 Negron is survived by his wife, Arlin A. Negron and sons Carlos J. Jr., Carlos M. and Angel G. of Lakewood, N.J.; father, Gabriel Negron of Lakewood, N.J.; and mother, Marta Torres-Figueroa of Lakewood, N.J.